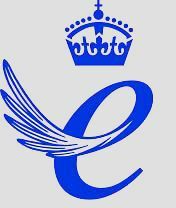 In celebration of winning the Queens Award for Enterprise, we are pleased to announce the launch of our Queens cast iron radiators series. This 520mm height is the smallest of our three column designs. 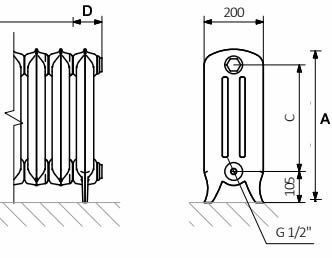 The Queens 3 column cast iron radiators are quite simply the highest quality traditional radiator castings available in the UK today. We have developed this series in partnership with a Western European foundry, we have worked hard to combine the surface quality of traditional castings and the highest quality engineering possible. The Queens cast iron radiators are available in four heights for 2 columns and four heights for 3 columns allowing you to choose a range of heights for your entire property. Queens Cast Iron Radiators are cast in Europe using traditional techniques and a new mould developed for ourselves to celebrate our Queens Award for Enterprise award. With paper gaskets and European levels of casting tolerance, this range of cast iron radiators are simply the best available in the UK today. Orders can be placed online or you are welcome to call our friendly staff on 01723 321 333 who will be happy to assist you. As standard, Queens Cast Iron Radiators are finished in primer, with the option to have them finished in the UK's widest range of paint, metallic or polished finishes to suit any property, be it a period building or contemporary apartment. For more information about our range of finishes scroll to the bottom of the page.